Stolle Machinery Company will add a precision machining facility to its Innovation Center in Vandalia. The expansion will consolidate other operations and bring a total of 80 jobs to the city within three years. 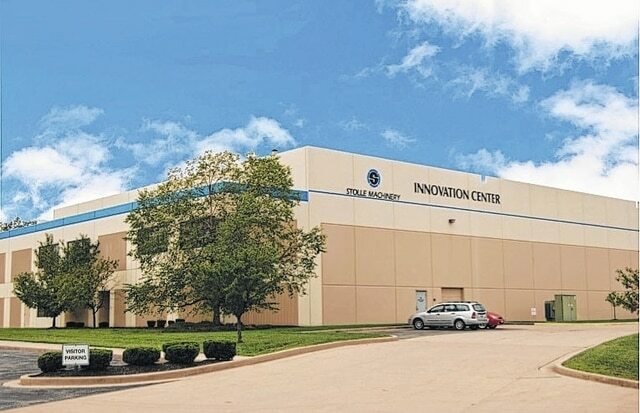 VANDALIA – Stolle Machinery Company will add a precision machining facility to its Innovation Center in Vandalia, Ohio. The company will add a 15,000 sq. ft. addition to its Innovation Center on Webster Street and will consolidate an existing machining facility in Miamisburg into this location. The project was approved for tax incentives by the State of Ohio Tax Credit Authority Board for on Monday. Based on the incentive package, the company is committed to adding 40 jobs at the expanded facility over the next three years. Once the expansion is complete, the location will house nearly 80 jobs with an annual payroll of $3.9 million. The building will continue to house Stolle’s research and development facilities while the new group, Stolle Machine Tool – Dayton, will produce precision die tooling and parts for Stolle’s plant in Sidney, Ohio. The Sidney location produces machinery related to the manufacture of easy-open “pop-top” ends for beverage and food cans. Stolle expects the new Vandalia machining facility to be completed and in production by early 2016. Based in Centennial, Colorado (near Denver), USA, Stolle Machinery Company is a global market leader in the provision of high technology capital equipment and services to the beverage, food, and consumer container industries. The company designs and builds value-added machinery for can makers around the world. Stolle has operations and facilities in Colorado, Ohio, Europe, Brazil, Vietnam and China. More information about Stolle can be found at their website: www.stollemachinery.com.